It’s been a long, stressful day at work and you can’t wait until you get home and calm yourself down. It’s important for us to create boundaries between work life and home life, especially if have a stressful job. 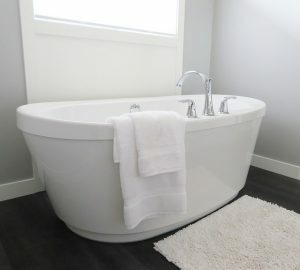 Most of the time, the first thing I want to do is to run a warm, soothing bath. Taking a bath is a great way to relieve stress. A nice hot bath will ease and relax all your aching muscles and make you feel like you’re walking on air. However, some interesting research has shown that hot baths are not only great for unwinding but these can also play an important role in boosting your immune system, help skin conditions as well as reduce and ease other more serious medical disorders. Plenty of benefits, right? 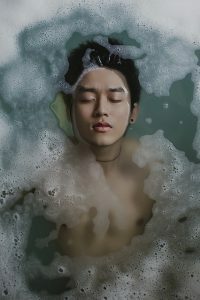 Another Japanese study found that ten minutes in a warm bath can improve cardiovascular health in elderly men and women. As a result, they coped better in exercise tests and it appeared to aid in reducing pain. This was quite a revelation, as, previous research had suggested that hot baths could be dangerous for heart disease patients, because it temporarily increased blood pressure. A study conducted in 2002 revealed that a daily bath, especially in the afternoon or evening, significantly improved the mood and optimism of those who participated in the study. The reason is that being horizontal in the water helps your mood. If you suffer from any skin condition the probability is that you have been prescribed medicated or oiled baths. The good news is that a bath can help relieve skin conditions. If you’d like to sleep better, then it’s probably a good idea to take a hot bath right before bed. The best way to do it is to get yourself down for a while, cool yourself down and then get right into bed. And we saved the best for last. Water baths help calm arthritic pain. If you suffer with chronic pain related to fibromyalgia or arthritic or muscular issues then you should really spend more time in a bath. Using table salt in your bath can help reduce the amount of joint pain you suffer with too. If you’re looking something more fun, then bath bombs are a great way to enhance your bath experience. 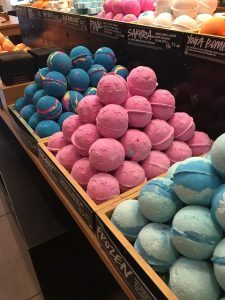 These colourful balls of happiness which come in so many different colours, scents and sizes, are very often filled with moisturizing oils and body butters making using them a very rich and personalise able addition to your bathing routine. Bath bombs can degrade somewhat though, so will get less effective as time goes on, the fresher they are the more pleasing the experience. It’s all about freshness. As mentioned briefly above bath bombs come in various shapes and sizes. There are plenty of brands, scents and colours to choose from. When you toss them in the water, the main ingredients, baking soda and citric acid, begin to fizz, releasing the most amazing scents. Simply drop one in your bath and prepare yourself for a thrilling, aromatic, journey of the senses. Settle in for a long bath, pour in some fizzy bath time treats and enjoy!